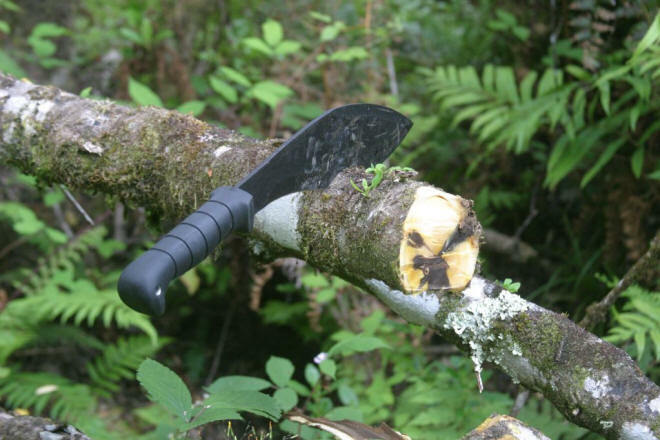 Select camping knives from a wide range of blades to handle the common chores found in camp, for an accurate, sharp, clean knife, including fixed blade knives, folding knives and other knife tools. Different styles of camping knives used for food prep, or carving tent pegs, or chopping wood, notching poles for a shelter, cleaning fish or game or whatever, and the myriad of other common cutting chores around camp. Heavy Bowies, Black Kraton Handle, 12.63"
Heavy Bowies, Black Kraton Handle, 14.25"